After a thrilling opening Rolex 24 Hours at Daytona at the end of January, next weekend see’s the next round of the 2015 Tudor United Sportscar Championship, the Sebring 12 Hours. This iconic race will be just as tough as the Rolex 24 despite being only half the distance, such is the bumpy nature of this airfield circuit. Sebring is renowned worldwide as a severe test of sportscars, which means that combined with the unpredictable nature of the Tudor United Sportscar Championship, a brilliantly thrilling 12 Hours of racing is almost guaranteed next Saturday. In the first of my previews of every class racing at Sebring, this first article focuses on the first half of the prototype class which will be fighting to victory for 12 hours straight. Here’s a look at the contenders. Part 2 will be posted shortly. The DeltaWing team will be hoping to bounce back from a very disappointing Rolex 24 at Daytona, where gearbox issues hampered the team throughout the weekend and led to an early retirement in the opening hours of the race. A source of comfort for the team will be their competitiveness this year, which is carrying over from the progress they made towards the end of last season. The car is now genuinely competitive, and if the team can run without major problems during the race expect the unconventional DeltaWing to be challenging for at least the podium. This will be a big ask however for everyone given the brutal nature of the bumps on the former airfield circuit. On the driving front the team has improved their line up this year with the addition of four time Grand-Am champion Memo Rojas to partner the experienced and very quick English duo of Andy Meyrick and Katherine Legge. With their driver line up and the competitiveness of this car a podium or even victory would not be a surprise for this team. 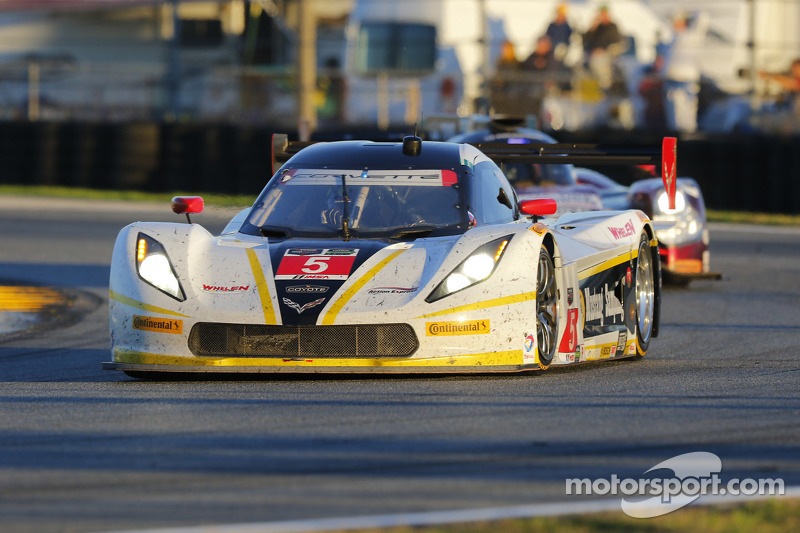 The #1 Extreme Speed Motorsport is another car that suffered a difficult start to the season at the Rolex 24. The Extreme Speed team were not expecting a great start to the year as their new HPD ARX 04B car arrived late, leaving the team unprepared for the opening Rolex 24. Their difficult weekend started with the team missing the Prototype qualifying on Thursday afternoon with a bell housing issue forcing them to start from the back of the Prototype class. During the race the car showed it’s tremendous potential with the car easily running in the top 10 throughout the race and into the night, before a gearbox problem forced the team to retire the car at 5am. The team can be heartened however with the pace they showed during the Rolex 24, alongside the large amount of miles they were able to run in Daytona. The driver line up of the experienced Scott Sharp partnering the rapid Scot Ryan Dalziel is a very impressive one, even more with the addition this year of one of the fastest amateur drivers in the class with the Dane David Heinemeier Hansson. Watch out for this team to contend for the podium if their reliability problems from Daytona are behind them. The #2 Extreme Speed Motorsport suffered the worst luck of all the prototype teams at the Rolex 24 in January, with any prolonged running during the Sebring 12 Hours a bonus. The team made quick progress from a lowly starting position, in the opening stint Johannes Van Overbeek rocketed up from 12th to 6th. Going into his next sting Van Overbeek began reporting a drop in the oil pressure, something which forced the car into the garage. From here the team tried to fix the car, however they diagnosed a systems failure that caused a loss of power, forcing the team to retire the car after only 1 hour 45 minutes of the race gone. Whilst the Rolex 24 was a very difficult race for the team, Sebring will surely be better for the well supported team as they will have a lot greater understanding of their new Honda HPD ARX O4B race car, although the team may still run into trouble with the new car given the reputation Sebring has as being a majorly tough circuit on sportscars.The driver line up is an experienced on with Tequila Patron CEO Ed Brown proving to be a fast amateur driver alongside similarly experienced pro’s Johannes Van Overbeek and Jon Fogarty. If the team can keep this car reliable throughout the 12 Hours, expect this entry to be competing for the top five at the very least. The Action Express Racing team began the 2015 Tudor United Sportscar season in much the same vain in which they completed the 2014 campaign. 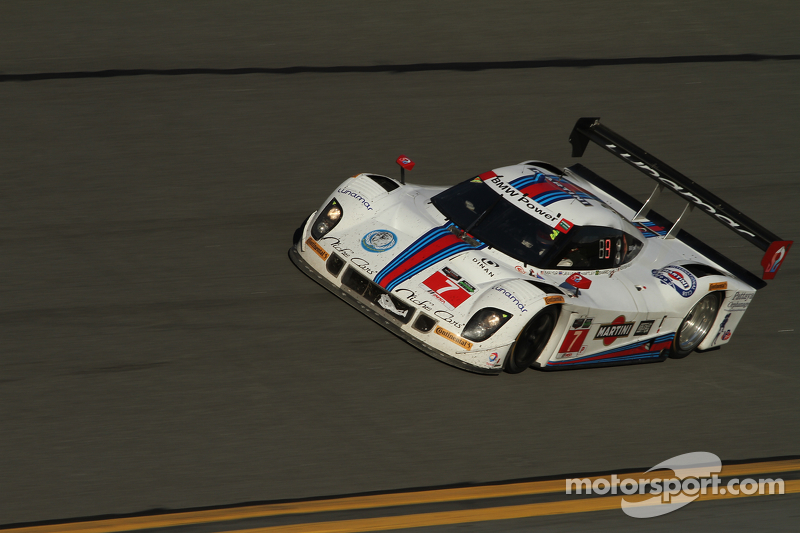 The team dominated the debut season of the TUSC and once again was a contender for victory at Daytona. The team began the race slowly although they crucially stayed out of major trouble and used the cautions to get their laps back. 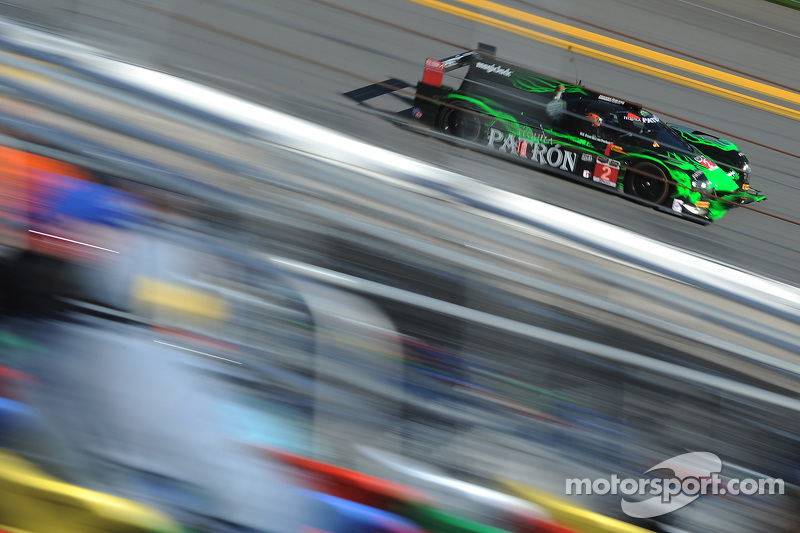 By Sunday morning it became clear that the race was between the #10 Wayne Taylor Racing entry, the Action Express car and the #02 Chip Ganassi car. With the troubles late on for the #10 car the Action Express entry challenged the #02 car until the chequered flag, finishing a close second only 1.3 seconds behind the winner after 24 Hours of ridiculously close racing. Going into the Sebring 12 Hours the team will surely go into the race as one of the favourites, based on their form from last year and the opening Rolex 24 Hours. The Sebring track will provide a challenge although the team has a year’s worth of experience with the car, and the team will be looking to win the race as last year this was one of the few major TUSC races the team failed to win.The team has retained it’s mightily impressive line up of professional’s with all three having the holy grail of experience combined with prodigious pace. Look for the team to be contending for victory at the end of the 12 Hours, with anything less a disappointment for this ambitious Action Express Racing team. The Starworks Motorsport team will have been disappointed not to finish in the top five at the Rolex 24, with the team forced to retire their Daytona Prototype during the night after 14 hours with an engine failure. Before that the team had struggled through the opening hours with constant understeer issues, although the team was beginning to rectify the problem before the engine failure. 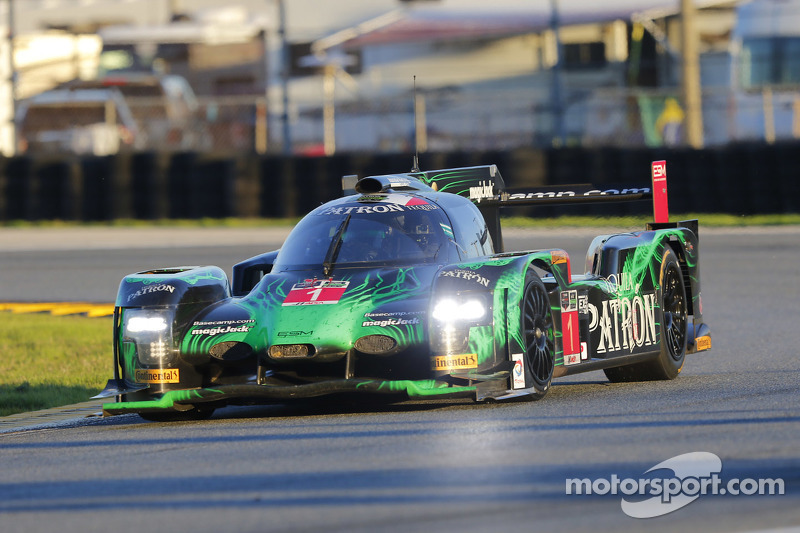 The team will therefore hoping for a much better Sebring 12 Hours, especially after falling behind their competitors who scored highly towards the championship at the Rolex 24. This team has been used to winning in the past few seasons during the Grand-Am era, although struggled in 2014 in the inaugural year of the TUSC. Team owner Peter Barron will be hoping 2015 is the year they return to their usual competitive form, although the team will not be able to call on it’s all star driver line up it had at Daytona. The team has currently retained it’s quick amateur driver Scott Mayer alongside the ridiculously fast Porsche factory driver Brendon Hartley. At the current moment the team have not confirmed a third driver although it’s unlikely the team will be able to call on the services of the ultimate F1 veteran Rubens Barrichello and former Indycar champion and Indy 500 winner Ryan Hunter-Reay again as they did at Daytona. 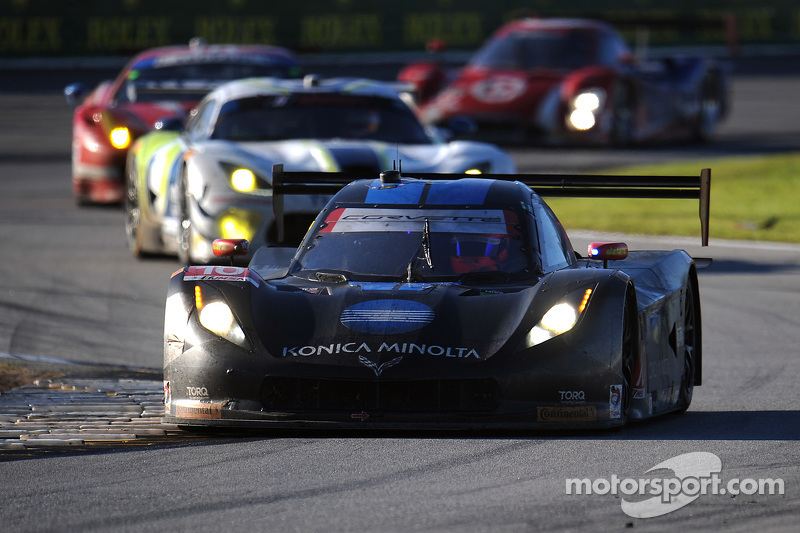 Their other driver at Daytona is more likely to remain with the team for Sebring. Tor Graves would bring a wealth of experience and familiarity to the team if he’s given another shot in the Starworks team. Whilst this team won’t be seen as an ultimate favourite going into the Sebring 12 Hours, watch out for this team to spring a surprise in Florida next weekend. The hard luck story of the Rolex 24 within the Prototype class has to be the #10 Wayne Taylor Racing entry, which came within a whisker of victory before a late drive time infringement ruined their chances of victory. The team was a serious contender for victory and led most of Sunday morning in Daytona, and the battle looked set to go to the flag between the #10 WTR entry and the #02 Chip Ganassi car. In the last hour the race fell apart from the team when victory seemed likely for this plucky Wayne Taylor team. A maximum drive time violation from Jordan Taylor in the final hour forced the team to haul him out the car in the last thirty minutes to be replaced with his brother Ricky. The team made the move under Caution therefore had to serve a drive through penalty once racing resumed, although the team still completed the overall podium in 3rd. After the race IMSA officials reviewed the data and found that Jordan Taylor had already broken the rule, driving 19 minutes over the four hours maximum drive time in any six hour period.The team was subsequently disqualified and lost their points from the Rolex 24. Based on this the team will be looking for an emphatic response next weekend as they will no doubt contend for victory at the Sebring 12 Hours. The Wayne Taylor Racing team are a highly professional team and know how to win major races in the Tudor series, something the team will want to prove next weekend. The driver line up of the two Taylor brothers and the vastly experienced Italian Max Angelelli is a very potent combination and arguably one of the best driver line up’s in the highly competitive prototype class. Wayne Taylor and his team have every chance of winning in Sebring as they look to recover ground in the championship to their competitors. 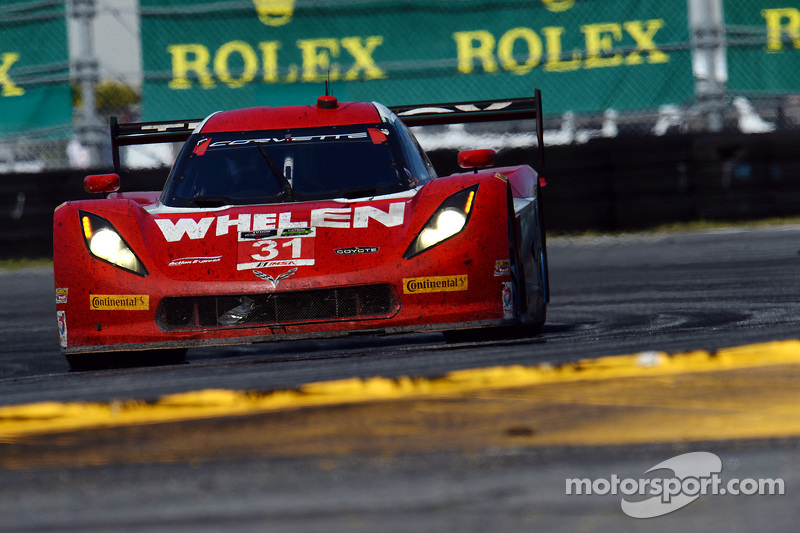 The second of the Action Express Racing entries is the Whelen sponsored car, which had a herculiuan recovery drive during the Rolex 24 with the team finally coming home a very respectable sixth overall and fourth in the competitive Prototype class. The car was forced into the garage in the opening two hours while the team replaced the steering rack on the #31 entry, returning to the track seventeen laps down and 51st overall. Over the following twenty-two hours the team and all four drivers drove heroically to move up the order to their eventually fourth in class and sixth overall. 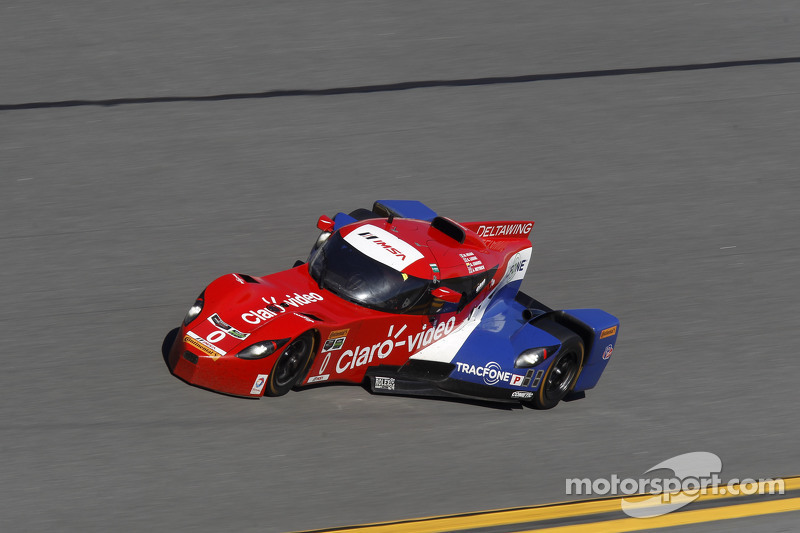 The team has retained three of it’s drivers from Daytona in Eric Curran, Dane Cameron and Max Papis. “Mad Max” Papis provides a very quick burst of pace alongside an abundance of experience, complimenting the impressive experience of American racer Eric Curran from a decade’s worth of American sportscar racing. Completing the line up is the recent Prototype convert Dane Cameron, last year’s winner of the GTD class with Turner Motorsport and their BMW Z4 GT3 car. Although Cameron has previous Prototype experience, this year marks only the second time he will complete a full season Prototype programme. This team is not necessarily always seen as a contender for victory in the TUSC, although expect this team to surprise over the 12 Hours with a repeat of their Rolex 24 result possibly on the cards for this well drilled team. That wraps up part 1 of my preview to the upcoming Sebring 12 Hours, part 2 will be posted very soon. For now feel free to comment on this piece good or bad all comments are appreciated. Finally I want to say a huge thank you to Motorsport.com for their amazing, high quality photos in this article. Please visit their website for the best high quality photos and latest motorsport news. The website is http://www.Motorsport.com .